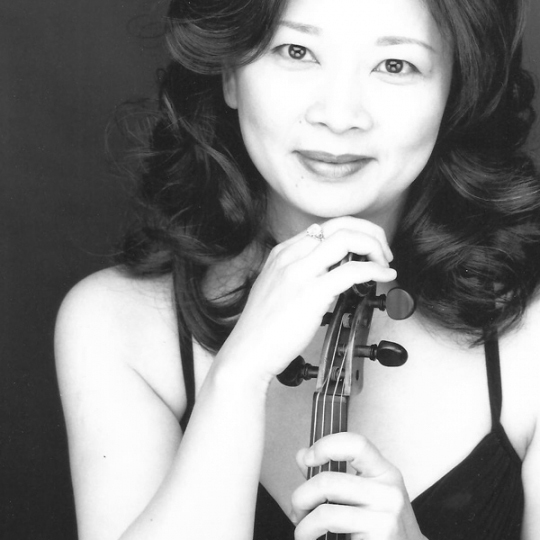 Helen has a Bachelor of Music in Performance degree from the University of Toronto and was a postgraduate student of renowned violinist/concertmaster Rodney Friend (London, England). She was the Associate Concertmaster of the Hamilton Philharmonic Orchestra for eleven seasons (2002-2013) and has performed with numerous other orchestras including the Toronto Concert Orchestra, Toronto Philharmonia, Sinfonia Toronto, Kitchener-Waterloo Symphony, and the World Rock Symphony Orchestra. She has also performed for the Canada Walk of Fame Gala, Luminato Festival, Nuit Blanche, and the Toronto production of Anne of Green Gables. In addition to performing for popular artists such as Rod Stewart, Andrea Bocelli, Il Divo, Sarah Brightman, Seth MacFarlane, the Canadian Tenors, Gino Vanelli, and the Moody Blues, Helen has recorded for films (violin soloist in Intern Academy), television commercials, and music albums for Hallmark Canada and Fisher Price.